Nordplus Junior - Enjoy the learning environment! After the meeting in Haapsalu, there was a long article in our local media "Lääne ELu"with lots of pictures and description of the project. The journalist asked lots of questions and had a long interview with Markus Kutvonen from Porvoo. The article mentioned all the meetings in different countries and the topics that were discussed. 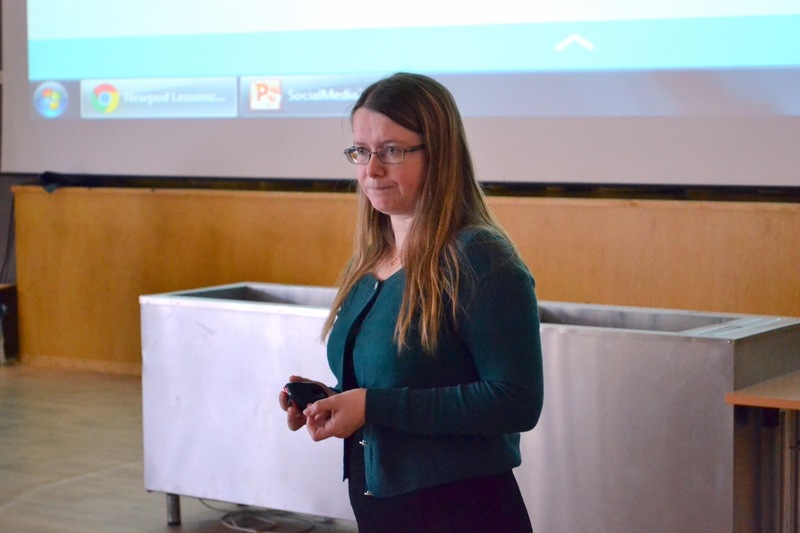 It also covered the whole meeting in Haapsalu and the activities that were carried out. CLICK HERE to see the article and the photos which were taken by the journalist Urmas Lauri. The title of the article says: "The students of Vocational Institutions learned how to enjoy the learning environment". During the whole project, all the events have been published on the Facebook page of the project. All the photos of different activities of the last meeting "Social Networking as a Learning Tool" could be found on the Facebook page of the project. It would be nice if you will share your videos and photos and show your friends what you have experienced. That will encourage them to do the same in some next project. On the first day the teacher of Tallinn University, Piret Lehiste, who is usually teaching the teachers how to use the digital teaching environments and all the other interesting apps, gadgets and social media possibilities, gave a practical class to all the participants. Everyone who is interested in it can have a look at her presentation. CLICK HERE to refresh your knowledge about Social Media in the classroom. 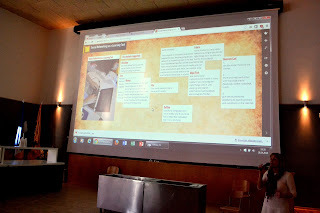 The students made their suggestions about using social media in the classroom using the online environment Padlet.com. Padlet is a digital canvas to create beautiful projects that are easy to share and collaborate on. It works like a piece of paper. You can share the link to the whole class and everyone can write on it, add their photos or links to the interesting web pages. Afterwards it is possible to see what everyone has written, add and correct, while showing it to the whole group, in social media or in your blog. CLICK HERE and have a look at the students' suggestions about using social media. The three days were filled with lots of activities, but all the five groups finished their videos on time. The jury consisted of 5 people - the journalist Urmas Lauri from the local online newspaper "Läänlane", Janika Samarajev, the member of the local photo club, Valdo Nõlvak, the Info Technology teacher of HKHK, Krista Põllula, the teacher of hospitality and communication of HKHK and Aile Nõupuu, the Development Director and the teacher of Photography of HKHK. and THANK YOU to all participants. On the last day, all the groups finished their videos. Before starting to watch them together and showing them to the jury, all the students went on a trip to the seaside to find out that the spring had come when everyone was working. Ragnar did all the editing stuff wednesday evening. We went to school. Did literally nothing. Just chilled, and walked. As said before, we didnt win. End of story.